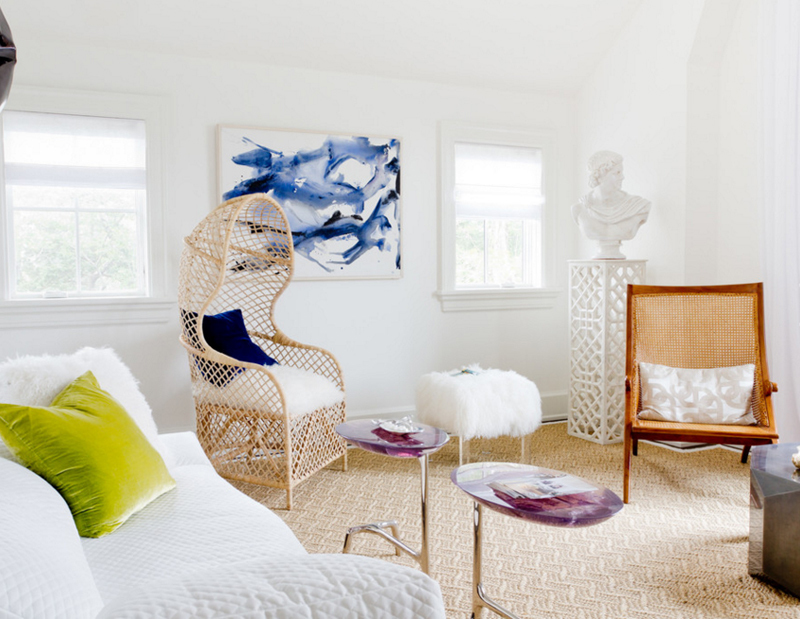 Don't be hesitant to use a rattan chair in your modern space. Take a look at how awesome it looks! Here in the Philippines, rattan is one material that is easy to find – aside from a lot of Filipinos are producing them, is a local product the we actually grow around the country. If you heard of a popular furniture designer that was featured in a lot of international news for designing for known personalities, you will notice that a lot of his designs are made from rattan. For today, we will not feature his works, although of course I’d love to do it – we will be showcasing a couple of living room spaces that show off a beautifully designed rattan furniture; that furniture is either an accent chair or a living room set that surely complements the other furniture present in the living rooms, take a look guys. What do you think about this living room set made of rattan? The design is pretty, organic and fresh. We are used to seeing leather or upholstered fabric for our sofas and chairs but this one sure elevates the norm. Do you agree? The rattan chairs that you can see by the windows are pretty cute – it somehow looks like an armchair my grandparents have in their home before although a bit modern version. Adding a white cushion adds comfort to these chairs. 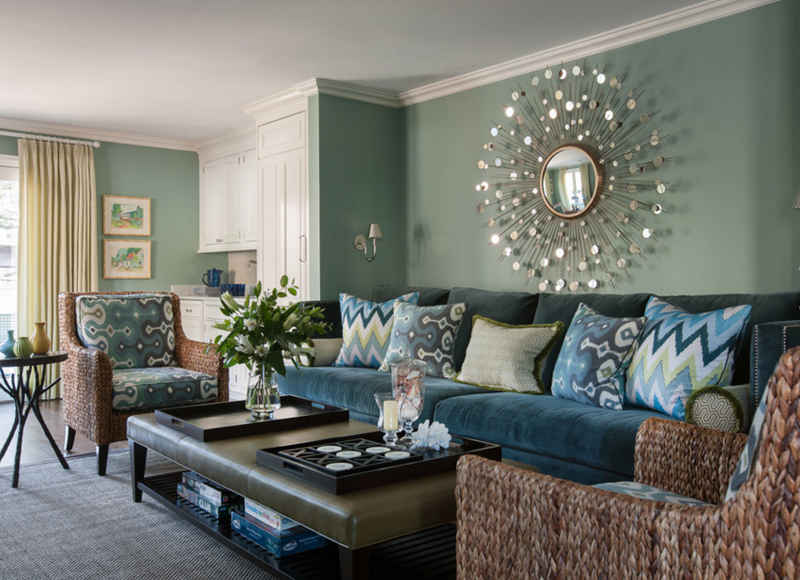 The wall is beautified by the sunburst mirror but the living room set is completed because of the rattan chairs that match the blue velvet sofa. I like the leather ottoman in the center too – how about you? Will you look at that stunning mermaid atop the mirror by the fireplace mantle. The plants add an organic feel to the already earthy feel and aura of the living room set. The white and blue combination reminds me of the beach, what do you think? This is one stunning space! From the walls, the carpet and the awesome console, adding the rattan chairs might not have been that necessary since it’s already pretty as it is – adding the chairs just made it prettier! Well, we all love a pretty living room, right? This is one rather earthy living room – simple but with a lovely seating, a gorgeous leather ottoman coffee table and bronze decor. When we talk about neutrals it’s usually the wall color, the carpets, and the decors – but in this space, we see that the seating blends with everything just fine. 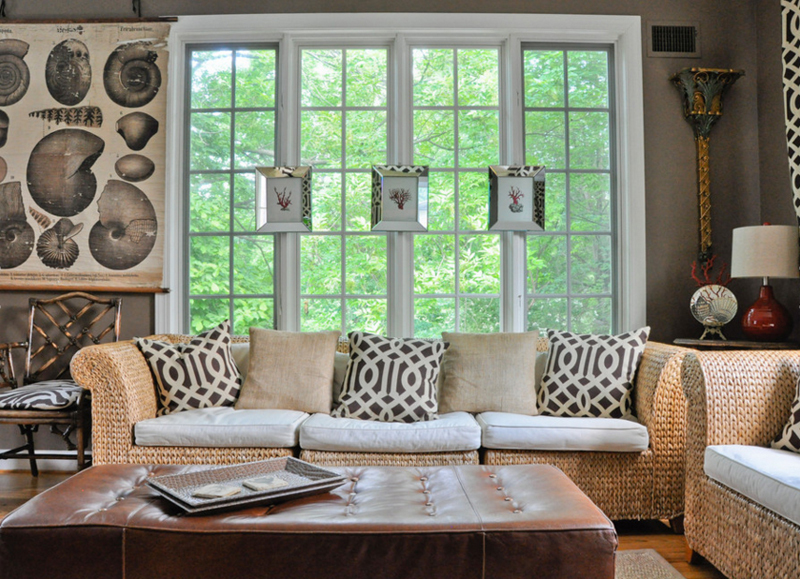 I really love the designs of the accent chairs in this living room! The one with a bit of a roof is similar to the one I collected before but I forgot the name of its design. Tell me what you think about this living room though. 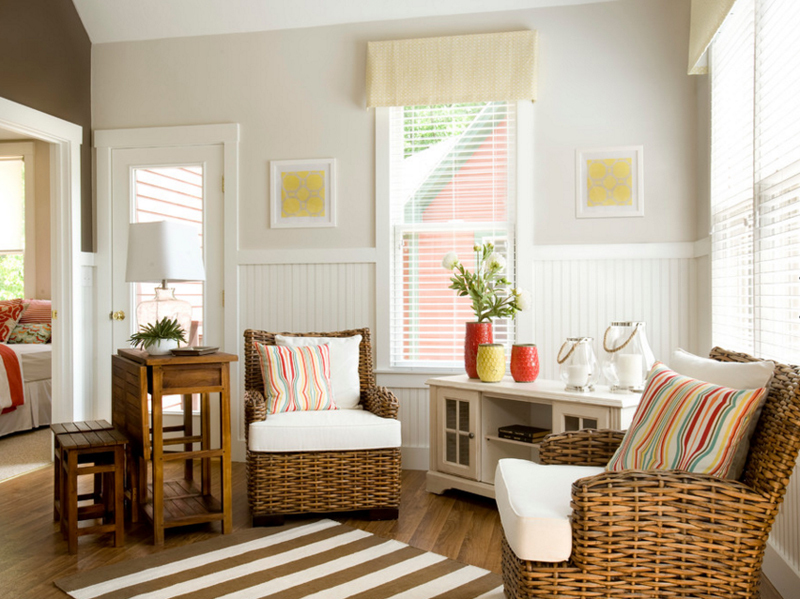 The rattan swivel chair by the door sure is pretty while it is contemporary – matching it with the white tufted sofa created a classier look because of the color combination the two has. A contemporary designed loft-type living space, you can see that it has a non-conformist set of living room seats and we can see the comfortable looking rattan chair on the side that actually match the color of the divider of the living space and the kitchen-dining area. 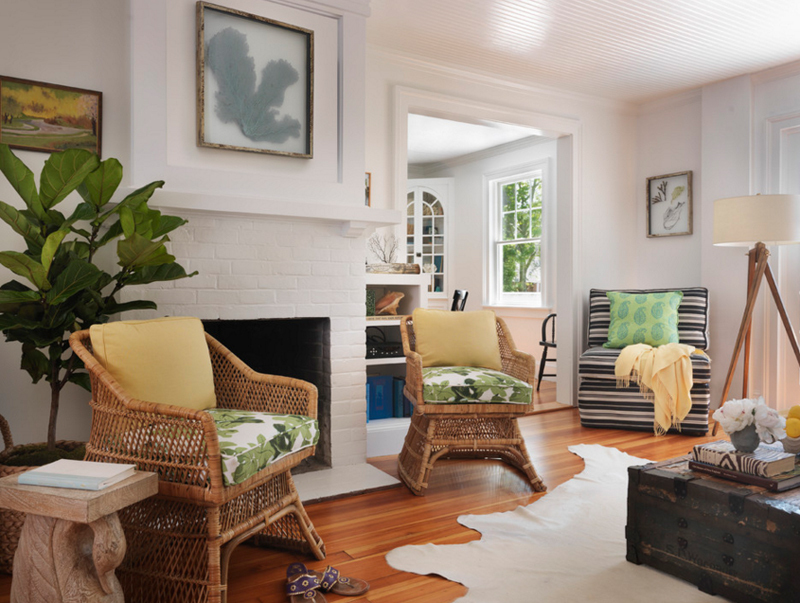 Now check out the living room of this summer cottage – the colors of the walls and the floor is contrasting but still works well for everything inside the space – the rattan armchairs, the wooden folding table and stools and the white console on the side. 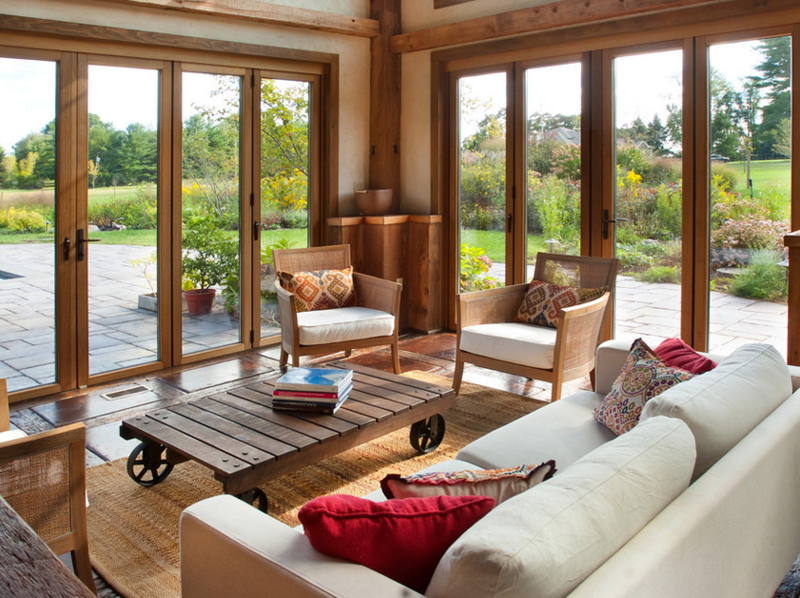 In this picture, I am sure that you notice how much clean and stunning the space is – it has plain walls and flooring and because of the white sofas and the rattan chairs, you see and feel how homey this Lake Michigan home is. 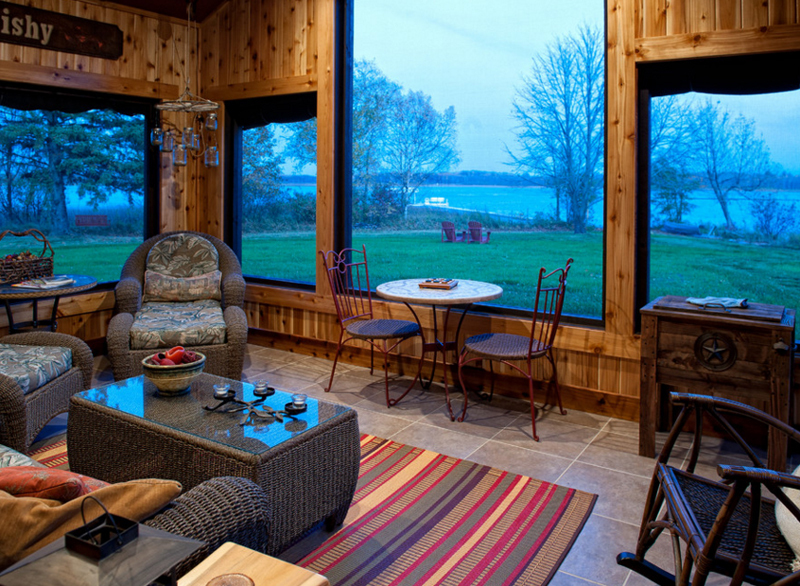 The Baratto Brothers Construction sure did an awesome job with the construction of this log home. 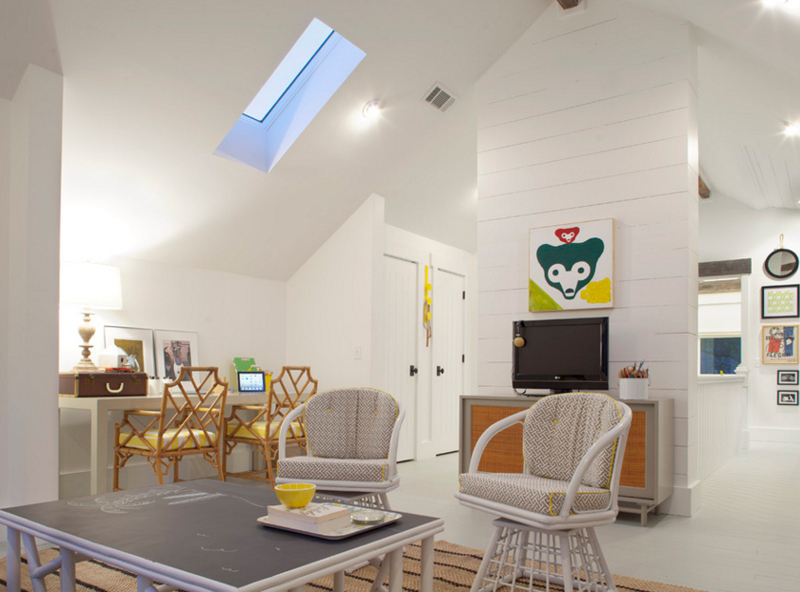 We see how much wood must have been used in creating this home – and look at the tiles that were used on the floor; non-skid and matches well with the furniture inside the space. Look at the rattan living room set and coffee table too. This hillside home sure has a great view of the sea below – as seen in the balcony. 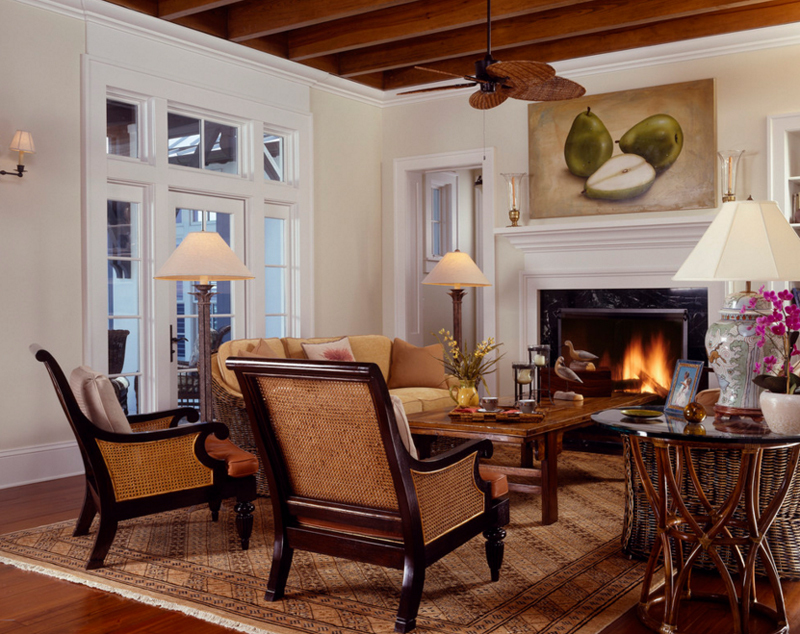 You see beige and browns on the walls and on the ceiling but the designer used a darker shade of brown for the furniture as seen in the pair of the beige sofa – the brown rattan chairs. From this angle, you can see that the furniture set in this home is actually pretty. It seems very typical for a summer or beach home to look like this, but hey! It still is beautiful and it works! 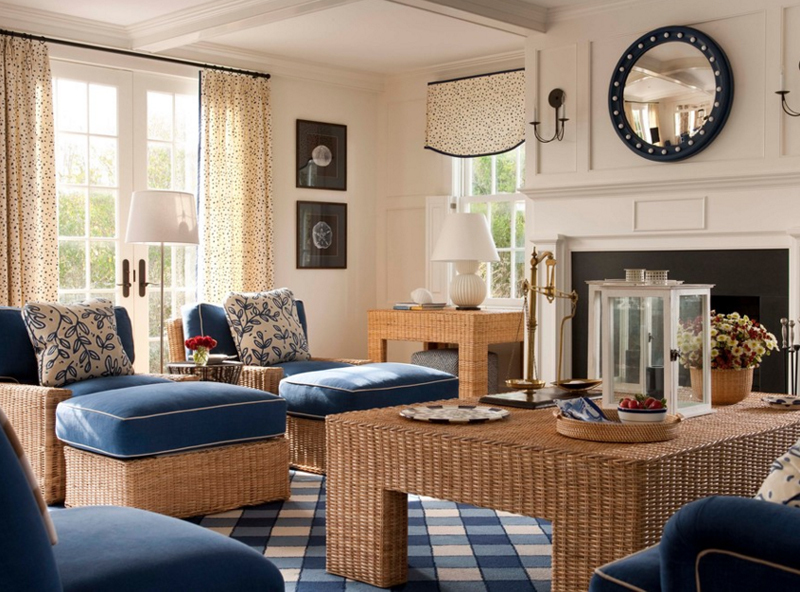 The combination of the brown rattan and the blue cushions, pillows and the carpet does justice for this wonderful home. There are a couple of different furniture pieces in this living room and I think that the use of black and white made way for the use of the different colors for the pillows as seen in this living room. The animal skin as the carpet sure makes this space expensive and rather appealing. A traditional home, the Purdum’s residence is an epitome of homes that used to be. From wooden and rattan furniture pieces to an awesome carpet and ceiling fan – you can definitely see how this wonderful piece of land became an art in itself. 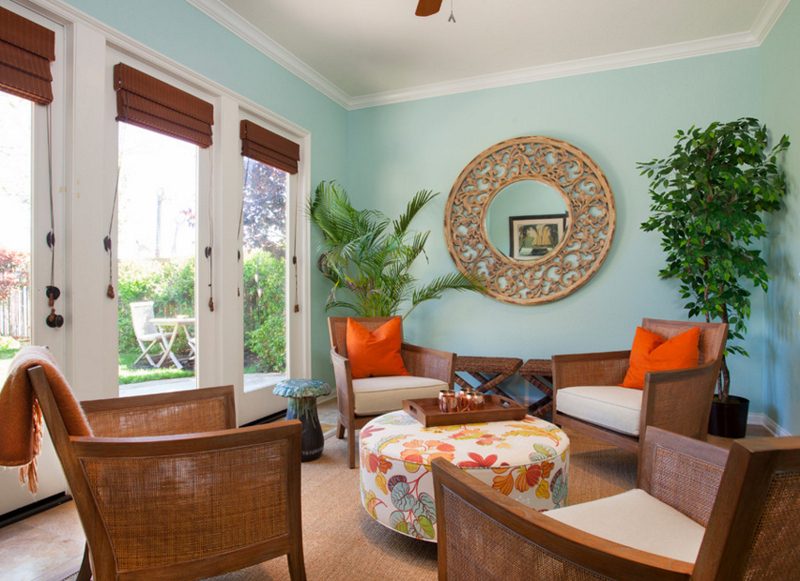 With a four-piece living room set – this sun room located in San Diego sure is a haven for home owners to sit and hang out in. The house gives you enough windows and door for you to experience the sun and the view of the outside; this is somehow something busy people would love to look forward to during the weekends and holidays. A familiar space guys? This Tara Bussema design is what you would want for a summer home – a place for you to rest on and have wonderful weekends with the family – even enjoy a romantic getaway during Valentines. 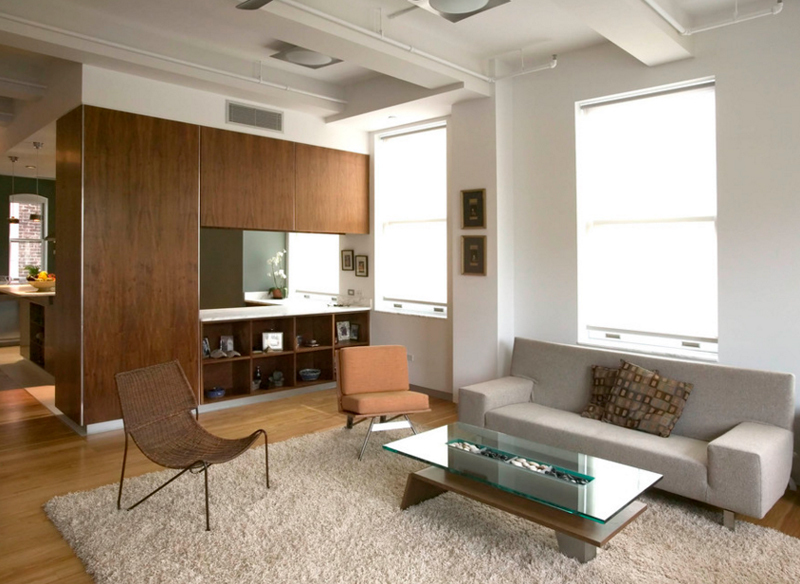 The design and arrangement of this space is simple, comfortable and just divine! See that fancy rattan armchairs on the sides of the blue sofa? Pretty awesome, right? 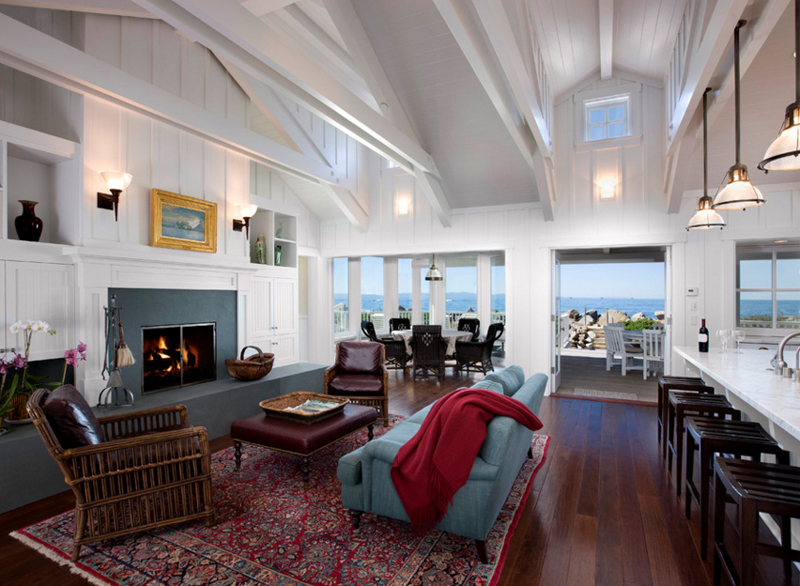 With a home as large as this one, people would love to have a special spot in it to just relax in and since this living room is just in front of the fireplace, I’m betting this spot is just so comfortable. Rattan chairs painted in white – what a contemporary approach to home furniture since we would like to think that most people would love to maintain the organic look of things, but since this is a white home, looks like the designer and the home owner opted to get the furniture painted – except the chairs by the wall. 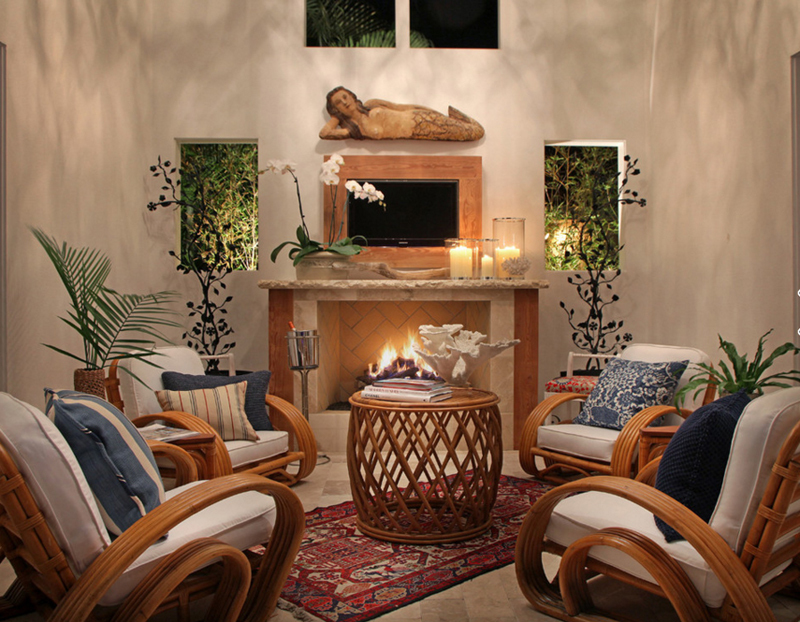 A black rattan armchair and ottomans made from native materials – notice anything else? Yes, this home is made from wood too! 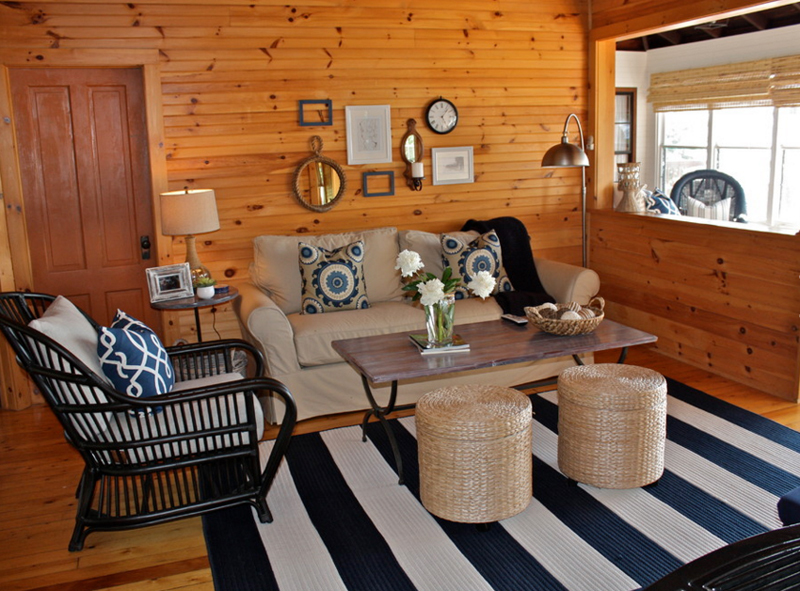 A cottage found in Vermont, this Ally Whalen design sure showcases a wonderful home you would want to spend vacations in. 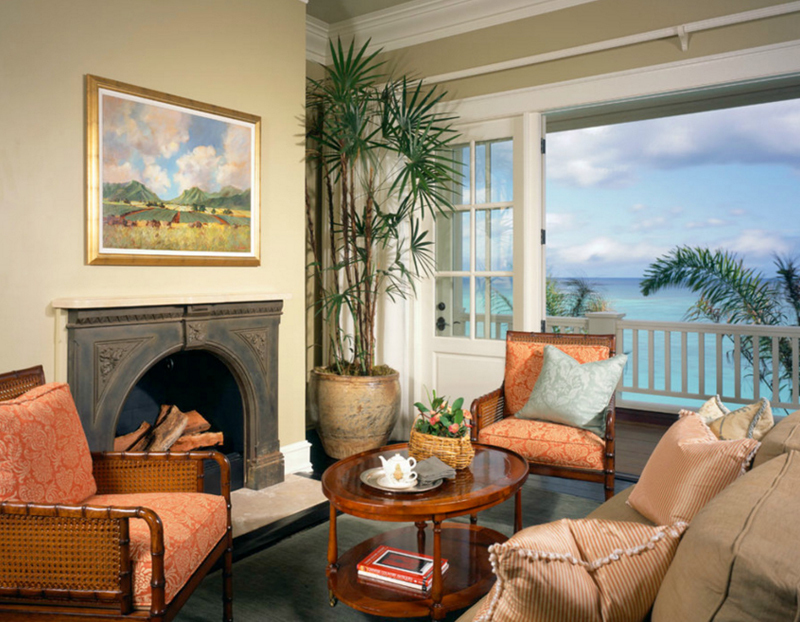 I personally like the design of the rattan armchairs in this picture. 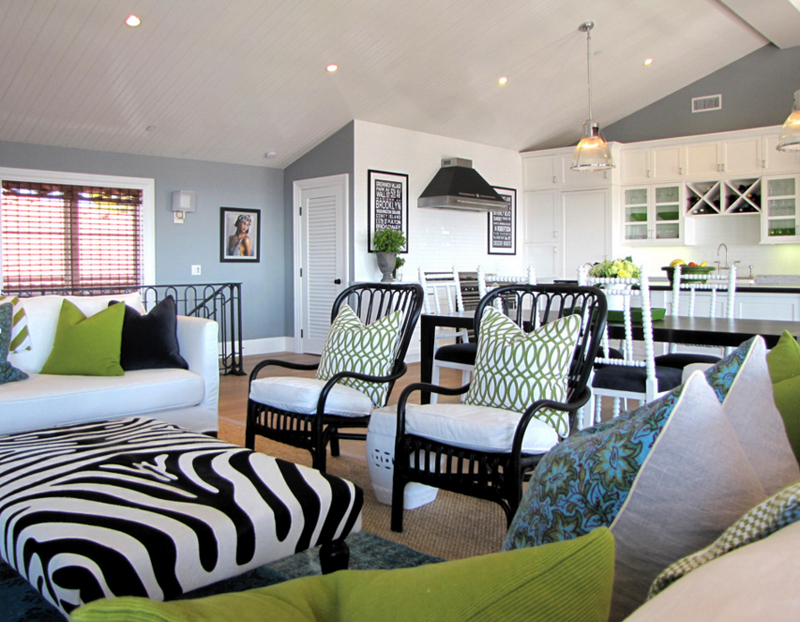 This is another cottage home – only that it is mainly done in white except for the flooring and the furniture. 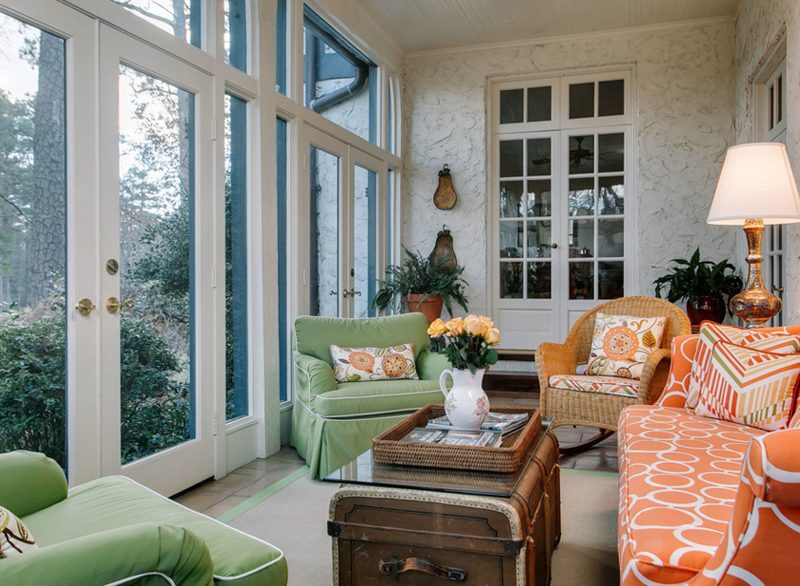 The floral cushions added a bit of a summer feel to this wondrous living space. Our finale sure did not miss; with a catchy coffee table and a rattan accent chair – you might not even notice how the play on the colors of the seats might have affected your eyes! Go green and orange, right? Well, you might imagine that this list was actually short of two photos since most ideally I would consider creating a list with twenty-five pictures, but I think that the photos in this list is enough for you to take notice of how beautiful rattan chairs and furniture are. 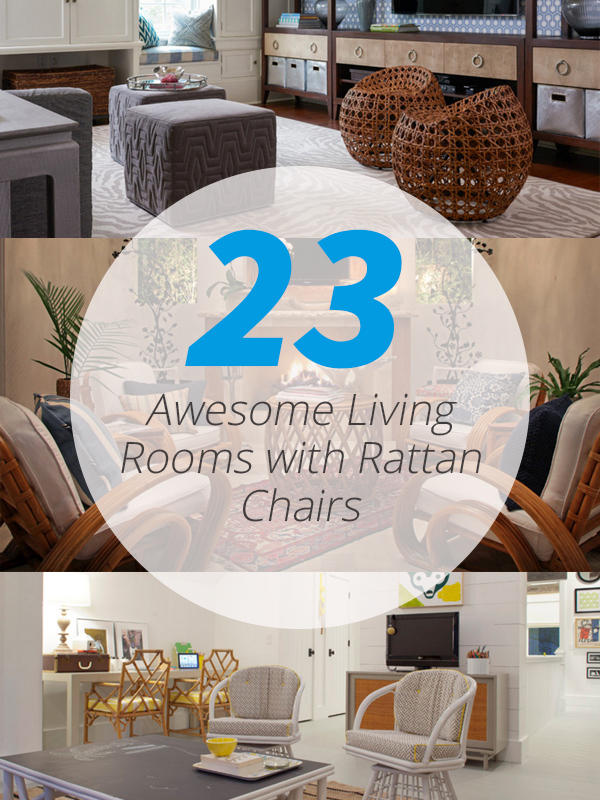 If you think this list is cool, take a look at the rattan outdoor furniture and tell us what you think! More to come in Home Design Lovers!